How often do you hear of relatives and friends dying of cancer? It is becoming too often nowadays, and the statistics tell us that in Malaysia there are over 40,000 new cancer cases each year, with over 5,000 deaths. And cancer is not even the top cause of death, though with the unabated rise in the new cases, it is expected to be so by the year 2020. With all the billions spent on cancer research, modern medicine does not have an answer yet. The overall cure rate for cancer is only 5%, which is a dismal failure by any standard. And sometimes we are not sure whether the treatment ( especially chemotherapy and radiotherapy ) or the cancer that killed the patient. With our risk of dying from cancer now being 1:4, we really should be worried. The number one cause of death is still heart disease. The other top causes are stroke, lung disease, diabetes, kidney disease and liver disease. All are chronic degenerative diseases, which means, they can be avoided or delayed by a healthy diet and lifestyle. For example, if a 40-year old does 6 months of daily moderate exercise, he/she can improve cardiovascular to the level of a fit 20-year old. Even elderly men and women ( even in the 90's, as proven by senior competitive athletes ) who do daily exercises can regain their health tremendously, and function like younger healthy individuals. In rich nations with advanced medical facilities, the death rate from heart disease is in fact declining ( eg. by 25% in the last 5 years in UK ), but that for cancer is rising. Cancer is the top cause of deaths in UK, USA and several other developed countries. However, although a healthy diet and lifestyle can reduce the risks of all the diseases, the reduction in cancer risk is minimal, except for the impact of stopping smoking on lung cancer, chewing tobacco/betel leaf on mouth cancer, eating salted/pickled stuff on stomach cancer, and several other diet-related cancers. Some cancers are directly due to infections ( hepatitis virus to liver cancer, H.pylori bacteria to stomach cancer, human papilloma virus to cervical cancer and so on ). Thus it is important that you get to know a natural alternative/complementary method to improve your health, prevent or reverse disease, and even cure advanced cancer. 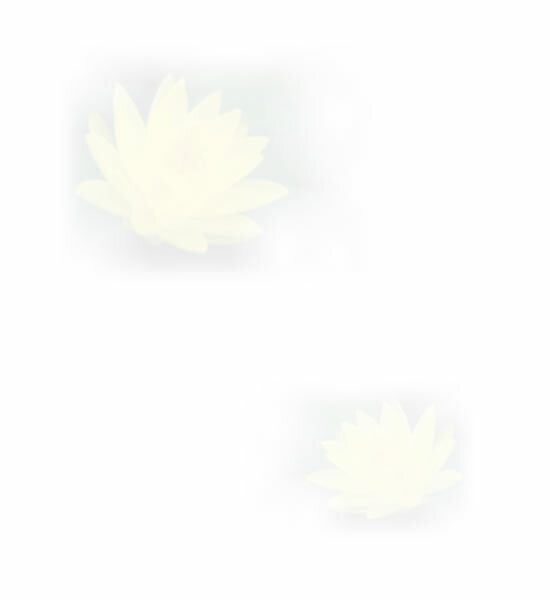 That unique healing method is Qigong. Qigong is a special art of mind-body exercise done with mental awareness, relaxation and conscious & co-ordinated breathing. The practice of Qigong increases oxygen utilization, improves blood circulation, and increases the level and flow of Qi ( internal healing life-force or energy, pronounced as "Chi" ). These maintain optimum health and allow healing of diseased cells and organs. Qigong is an amazing energy-producing movement technique that many doctors now recommend for relaxation, reducing stress and even helping the body to heal from diseases. Regular Qigong practice can reduce pain, stress and the effects of sickness from the body. Many Qigong practitioners have been able to recover from severe chronic diseases like hypertension, heart disease, arthritis, osteoporosis, sciatica and even from cancers. So it is a valuable part of a healthy lifestyle that should include a nutrient-rich diet, physical exercise, sufficient rest and sleep, detoxification, stress management, and clean living. Although Qigong requires focused concentration with movements, and conscious breathing in a controlled way, its simplicity makes it easy to learn and easy to do for most people. 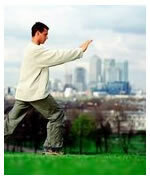 Qigong works on the body's life-force energy or "Qi" (pronounced as "Chi"). It is the energy responsible for life, propagation ( sexual energy ) and healing. How does Qigong help one feel better? In Chinese Medicine, illness is related to energy congestion. Any practice or method which increases the flow of the life-force energy also helps relieve congestion and therefore, is beneficial to health. When Qi, or life-force energy is blocked within the body system, according to the Chinese model, then the body eventually manifests some physical imbalance or sickness. This is because congestion of Qi results in a build up of Qi where it may not be needed or wanted, much like water will dam up a river and flood over into surrounding areas. On the other side of the energy imbalance scenario, certain parts of the body do not receive sufficient Qi. There is an imbalance of energy flow and it effects the entire system eventually, usually resulting first in fatigue or general tiredness and then ultimately, in illness. One great value of Qigong is that it helps the body remove blocks and increase the flow of energy throughout the system. When it flows freely and evenly, Qi energy helps the body heal and restore itself naturally, efficiently, and consistently. If you speak with those who practise Qigong on a regular basis, some of their personal stories may seem to border on miraculous but it's simply the nature and natural function of the human body to regain health and vitality, if it is given the tools to do so and Qigong gives the body, mind and Spirit the energetic support that is needed to realign with health in a natural way. Much research has been done on the healing effects of Qigong, but most are in the Chinese language, and have not reached the western scientists yet. Fortunately, now that westerners themselves have embraced the art, more research is being done and reported in the west. Furthermore, studies relating to a practical art are difficult to perform in the same model of studies done on drugs. However, the proof of having hundreds of patients with advanced/terminal cancer recovering after practising Qigong cannot be denied (as documented in China). Even here in Malaysia, we already have dozens of terminal cancer cases who recovered. The healing effects of Qigong are not restricted to cancer only, but can be beneficial to all diseases. For some it may be the only effective therapy, for others it may complement other treatments. If it can even reverse advanced cancer, then it has the potential to reverse any disease. If practising Qigong can reverse many diseases, it surely means that those who are already healthy will maintain their good health and will not develop any of these diseases. Indeed, it should be practised as a preventive measure rather than wait till there is sickness and suffering. Prevention is better than cure! How do you learn Qigong? 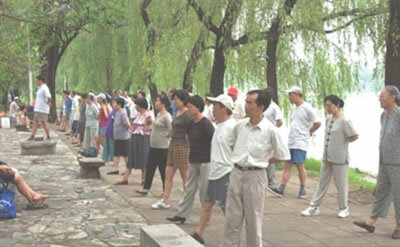 There are many styles of Qigong, each with their own set of exercises and special discipline. All are beneficial. Some exercises have been found to be especially effective in preventing or reversing certain diseases. For example, Guolin Qigong exercises have been proven to be very effective in overcoming cancers and many doctors now recommend it to their cancer patients. It is recommended by several universities in China, Hong Kong and Taiwan, and is the official exercise of the Cancer Recovery Clubs throughout China. You should not wait until you are sick before starting to learn and practise Qigong. Prevention is always better than cure, especially when finding the cure is not always easy, nor successful. It is best to learn from a teacher or Master, and not just from books. It is a practical art that is difficult to accurately practise from written words or drawings. As with any skill, working with a recognized Master of that skill increases effectiveness in utilization of the skill. Working with a Qigong Master can assist you in learning simplified exercises to improve your health and well-being, in the shortest amount of time and with the highest rate of success. It is helpful to see a demonstration of the exercises on videotape or VCD only if you cannot learn first hand from a teacher. Let the wisdom of the ancients bring healing and balance into your modern world through the ageless and magical practice of Qigong.